Football FRVR is an interesting arcade game developed by FRVR. This game has unique graphics, suitable for all ages, especially children and families. You can experience this game on your browser because it is a flash game. 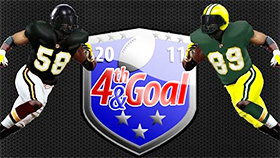 In this game you will use the mouse to shoot the ball to the goalposts. Each time you hit the ball successfully, you will get points. Try to get as many points as you can. Note: This game has a physical element. Each time you score, the game gets harder because the distance between you and the goalposts will be longer. When you see the stars, try to hit the ball to them. Each time you collect 5 stars, a Cup will appear. Stars and Cups will give you extra points. 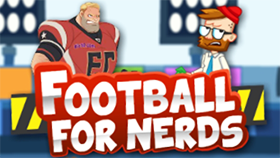 With simple gameplay and cute graphics, Football FRVR will bring you comfortable moments. Good luck and have fun!